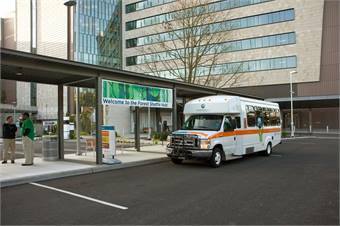 Seattle Children’s Hospital (SCH), a nationally recognized pediatric, research and teaching hospital, addition of propane-fueled shuttles has helped sustain its eco-friendly initiatives and cut fuel costs. Located in a well-established residential area of Seattle, SCH is committed to reducing the number of “drive alone” trips generated by hospital staff. The hospital provides a variety of commuter services, including fully subsidized public transit fares, an innovative bicycling program, carpool incentives and educational programs on environmental accountability. SCH also provides parking and shuttle operations for more than 8,000 staff with connections to public transit hubs and between the hospital, university and research institute facilities. 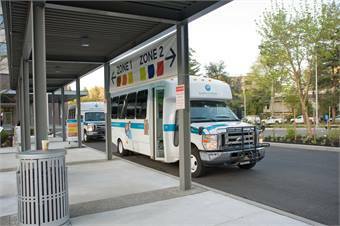 The hospital’s shuttle system operates 16 hours a day and averages 40,000 riders per month. SCH’s combined commuter services, and propane autogas, play a key role in the hospital’s green commuter system. SCH operates a fleet of 15 clean-burning, bi-fuel propane autogas shuttles. In addition to supporting the hospital’s sustainability goals, the fleet plays a role in meeting commute trip reduction laws for the state of Washington, which requires employers with over 100 employees to reduce the number of people commuting by car. Prompted by rising fuel costs and forward thinking within the transportation department, six years ago SCH hired a consultant to evaluate alternative fuel options for the hospital. At the time, lack of equipment and zoning issues for infrastructure made the switch implausible. When Blue Star Gas, a local propane retailer, approached Stutey in 2010 about tailoring a propane autogas solution, the hospital tested six 14-passenger V8 bi-fuel shuttles. By September of 2011, SCH adopted five more bi-fuel Ford cutaways and the fleet has since grown to 15. According to Stutey, making the switch required “commitment and collaboration” from multiple vendors in addition to some unique equipment offerings. When the department converted its larger 24-passenger V10 shuttles, they were outfitted with an extra saddle tank to maximize fuel capacity and to ensure they could run a full day on the longest routes, about 150 miles to 180 miles, on propane autogas alone. Annual driver training ensures that staff runs the bi-fuel shuttles primarily on propane, maximizing fuel savings for the department. According to Brown, drivers do a proper post-trip inspection at the end of each day and refill tanks for the next day’s route. Adequate space and zoning issues prevented the hospital from installing infrastructure on-site, but Blue Star Gas responded to its needs and established public infrastructure less than a mile from the hospital. 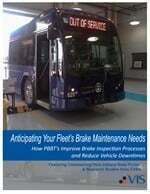 Brown estimates the department saves $5,000 to $6,000 a year in maintenance costs alone on the 15 bi-fuel shuttles, and has reduced its fuel spent by 50% compared with gasoline. As the number of propane autogas vehicles in Seattle increases, SCH has capitalized on volume fuel discounts from the public refueling station nearby. The hospital has further bolstered savings by applying for alternative fuel grants and incentives. The transportation department is currently analyzing data to determine overall cost savings and return on investment on the bi-fuel fleet, but estimates an 18-to-24 month ROI. For Stutey, the fleet has already met her measures of success. “Anytime the hospital can save on operating costs we are putting dollars back into high quality care or life-saving research for our patients. And helping the environment is an additional win for staff and the department,” Stutey said. To learn more about propane-autogas-fueled fleets and the Propane Education & Research Council, visit autogasusa.org.